This multi tiered mindfulness training program explores mindfulness theory, practice and teacher development. 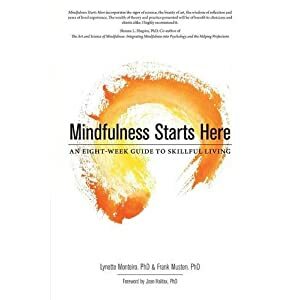 It is intended for those working in healthcare and while it is suitable for those working in any healthcare setting, it was designed to be particularly suitable for those working with the medically ill. Part 1 is for healthcare professionals wishing to use mindfulness for their own well being, deepen their own mindfulness practice; enhance therapeutic presence and communication with patients; and those wanting to begin to utilize mindfulness based techniques with clients. For those wanting to move on to teaching mindfulness-based groups and introduce mindfulness techniques to patients, it provides the foundational base for the Part 2 and 3 (Spring and Fall 2015) of the course which provides more in – depth training on how to teach mindfulness techniques and practices. To deepen the practitioner’s understanding of the ways in which mindfulness intervention can enhance health care; including healthcare provider self care, improved presence and communication with patients and as an intervention to improve both personal and patient well-being. Through experiential learning methods participants will deepen their personal practice of mindfulness, learn how to cultivate awareness, train attention, and understand how mindfulness supports presence, compassion and resiliency in every aspect of life. Participants will explore the benefit of enhanced presence and its impact on self, patient interaction and the hospital environment. Attendees will have a better understanding of the foundational roots of mindfulness practices. Mark Coleman MA is the founder of the Mindfulness Institute and a senior teacher at Spirit Rock Meditation Center, California. He teaches mindfulness workshops, courses, and retreats internationally, including trainings for Proctor & Gamble, Gap, Facebook, US Bank, Google, Prana and for UC Berkeley and UCSF University. He is a trainer at Search Inside Yourself Leadership Institute (SIYLI) developed at Google. He holds a Masters degree in Clinical Psychology. Mark is the author of Awake in the Wild : Mindfulness in Nature as a Path of Self-Discovery and Poems from the Wild (www.awakeinthewild.com). He is the co-creator Mindful Healthcare: C.P.R. (Compassion, Presences and Resilience) Training for Health Providers. Mary Elliott, MD, FRCP (C), has worked as a consulting psychiatrist and psychotherapist at Princess Margaret Cancer Centre, University Health Network, University of Toronto for the past 25 years. She now runs the Mindful Healthcare program at Princess Margaret. She is the co-creator of Mindful Healthcare: C.P.R. (Compassion, Presences and Resilience) Training for Health Providers. Cost: $500.00. Scholarships available. Generous support from the Corrigan Family Fund. Foundations in Teaching Spring 2015 with mentorship opportunities for those enrolling in Part 2. Previous Credible Teachers of Mindfulness: How can you know?